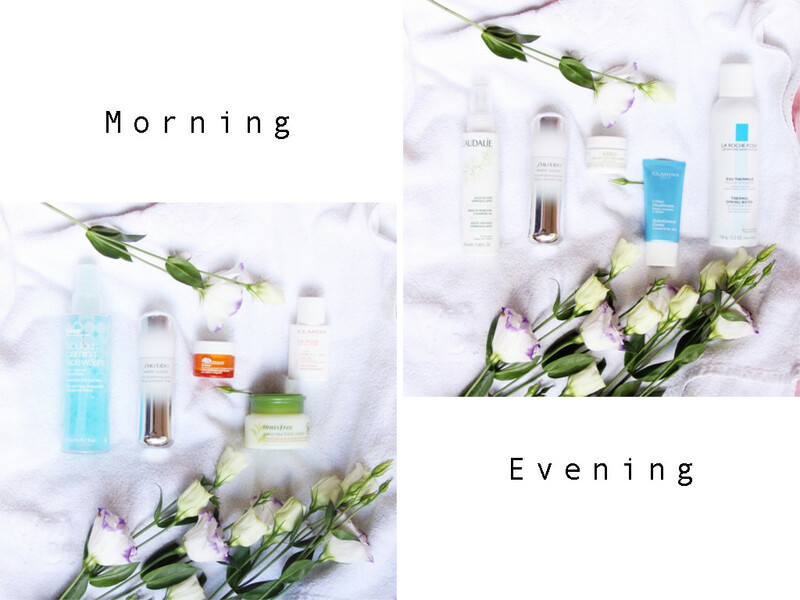 If you're a regular reader of Bear& Berries, you'd known that I am a skincare enthusiast. Makeup can be magical most of the time, it conceals the redness, evens the skin tone, and hide those imperfections. However, I still see skincare as the most important step of my daily beauty routine (if that's a thing). There is nothing nicer than a clean, smooth base, glow within is more beautiful than any highlighters. I still have a long way to go to be a skincare semi-pro, I'd love to learn more about ingredients and the different effects they bring, for now I'm still exploring. 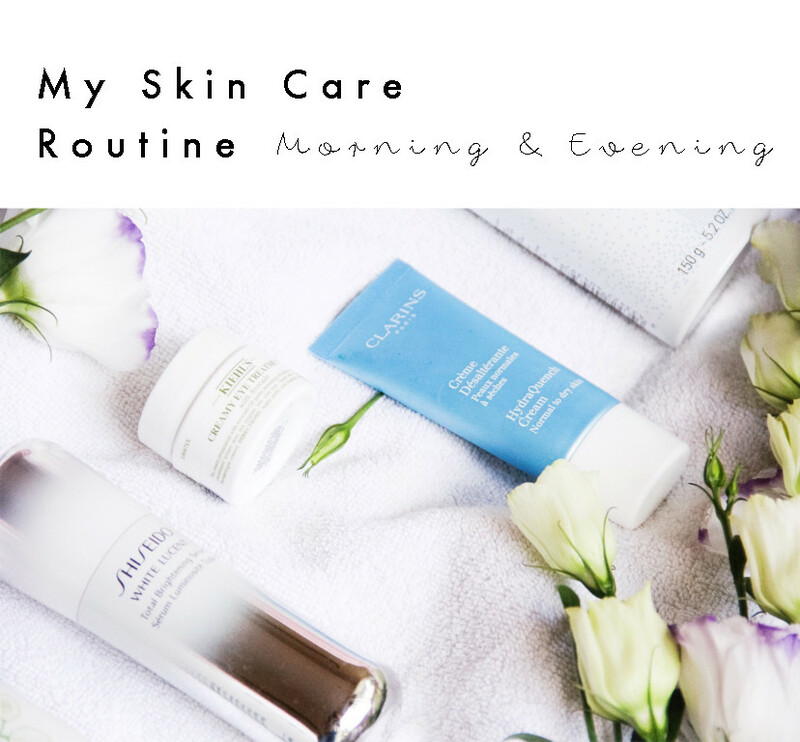 In this post I'm merely sharing my current skincare routine which has made my skin comfortable and stable. Before we get started let me first tell you my skin status and my skincare concerns. I have dry/combination skin, my concern is dehydrated skin as well as uneven skin tone. I'm at my early 20's so anti-aging isn't my concern yet. If you're interested in more skin care posts, I wrote about my most re-purchased skin care products here. This has been my favourite all-rounder facial cleanser. I used to use it as my night time cleanser to take the makeup off, however I've met the new love for that - we'll get to that later. It cleanses very well, has gentle exfoliating particles and the scent is gorgeous! I use the tiniest amount of this in the morning, only on my T-zone, I just feel like I don't need that cleansing power in the morning.. so I'm in the market for another gentle facial cleanser. Please leave your recommendations in the comment if you have any :) I'm NOT saying that I don't like it, it will make a perfect night time cleanser and an everyday exfoliator. This is probably the most luxurious skincare product that I've owned, I chose this product to step into the luxury skincare world because 1. I've heard great things about Shiseido, 2. It claims to have brightening effect and uneven skin tone is my major skincare concern. I've been using it for two months now and I have to say it works! I could tell that when I apply my concealer, I have the same concealer as before (MAC NC 20) which used to be way too light for my forehead and now it matches much better! I've heard so much great things about this eye cream and finally get it on my shelf. The shopping assistant told me that it has brightening effect and treats dark-circles, I won't claim that it works a wonder in that respect for me.. But I do like its consistency and the feel on my skin. This is a recent purchase in a Korean shop, I haven't heard much of this particular product before but I've heard great things about Innisfree. This cream is very light on the skin but keeps it moisturised and feeling fresh. I'd love to try more product from Innisfree in the future! The last step of my morning routine is this wonderful sunscreen. I got it in the summer and have been using it religiously. It's light-weight, non-sticky and creates a great base for makeup. I highly recommend it, check out my review if you're interested! Oh where should I start with this product.. It's my first cleansing oil, I was skeptical against makeup removing oils because I thought it'll be a pain to wash it off. Well, how wrong was I!? This oil cleanse like a wonder, it takes off any product on my face and leave my skin soft and moisturised. It feels like a spa every time I take off make! Highly recommended! I use the same serum in both morning and evening. I've raved about it in my "most re-purchased skin care product" post, it's my third pot now and I'll keep repurchasing it! It's everything I can ask for in a night time eye cream. I got this from a gift set, an oldie but goodie. It's very moisturising, I had a dry patch on my cheek during seasonal transition time, this product saved it! It is probably a bit too heavy for those who have oil-combination skin but I do love it for my dry-combo skin. Last but not least, I've always been a fan of spray water. I walked into Sephora and planned to repurchase the Caudalie's Grape Water but it was sold out, the shopping assistant recommended this one instead so I gave it a try. She was right, it's soothing and hydrating, love the packaging too! I'd love to discover products from all price range, please share your recommendations in the comment! Have a great weekend!